One of the best things about logging into Facebook these days are the occasional “back in the day” posts by tattoo icon and all around nice guy Henry Goldfield. 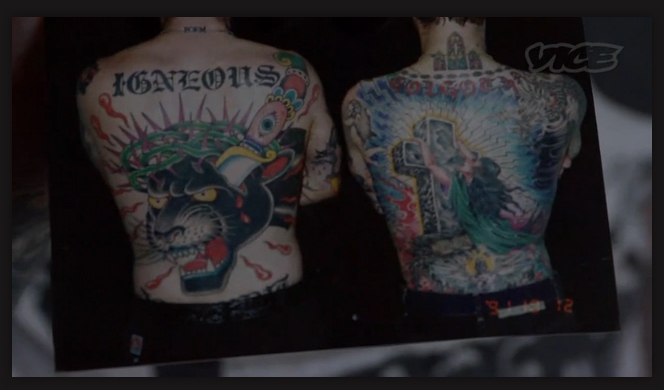 These pieces of history are amazing; snapshots of tattoo shop life before they were televised and mass marketed. With Mr. Goldfield’s generous permission, I’ll be posting some of them here on OV. Maybe we can convince Henry to put it all down in book form one of these days! No one would ever think of violence on this man, but he liked the drama. He would come back for more money for another day or two, until the NO! became final. This started with me in 1978 and continued for about twentyfive years. Not once, not ever, did he ever fail to pay the money back. He didn’t need to. No matter how loaded and sick he was, he always remembered and appreciated. There was a time or two when he was in some psychiatric unit somewhere, he would send someone in the shop the money he borrowed maybe two years prior. Then there was the time he went to a rehab organization and told them that I had put out a hit on him if he didn’t pay me the fifty bucks I loaned him (it was only thirty). They sent me a letter warning me to lay off. Then they sent me a check in full with a stipulation stating that in the cashing of the check, I agreed not to harm Dylan. He knew how to tip. There was the time he went to St. Francis Hospital having a heart attack and told them he was me. It took me a long time and some rough times getting their billing department off my back. Just before I met him, he called the San Francisco police and told then where he was (Tenderloin phone booth) and that he had a panther on a leash and that he was going to turn it loose. Crazies were doing things like that then. The Police showed up and Dylan stepped up and told them who he was and it was he that called,and asked the dangerous question, What are thy gonna do about it? They beat the living hell out of him. The next day, after getting out of Jail, he went to Lyle Tuttle’s shop where the help took photos. He took those prints to a lawyer, sued the City, and a deal was worked out for him to get disability pay for the rest of his life and legal fees to be covered. Dylan, the retiree! Later we can discuss the time he was arrested for bank robbery and beat the rap. Dylan, gone now, but ever a memory of a friend that kept life jumping for his friends. Another ‘Frisco Skin and Tattoo Ink’ excerpt, this time featuring San Francisco mainstay Henry Goldfield. 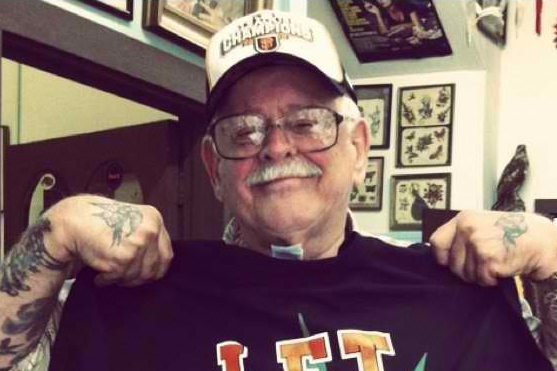 Henry has been tattooing at his Broadway location since 1978 and along the way has helped the careers of innumerable artists including the late Greg Irons.